Annet Gelink Gallery is proud to present the second solo show of Ryan Gander (*1976). Gander won the prestigious Baloise Prize for his installation at Annet Gelink Gallery's Statement booth at Art Basel 2005. His work will be part of this year's Tate Britain Triennial, New British Art, opening March 1. The installation is composed of an accumulation of seemingly disparate components. One wall of the exhibition space has been clad in what appears to be a patterned concrete relief, akin to what one would usually expect to find on the walls beneath a motorway underpass or on the exterior side of a civic building that may have been designed and built in the 70's. It is in fact made from fibreglass and is coloured and textured to look like a concrete cast. 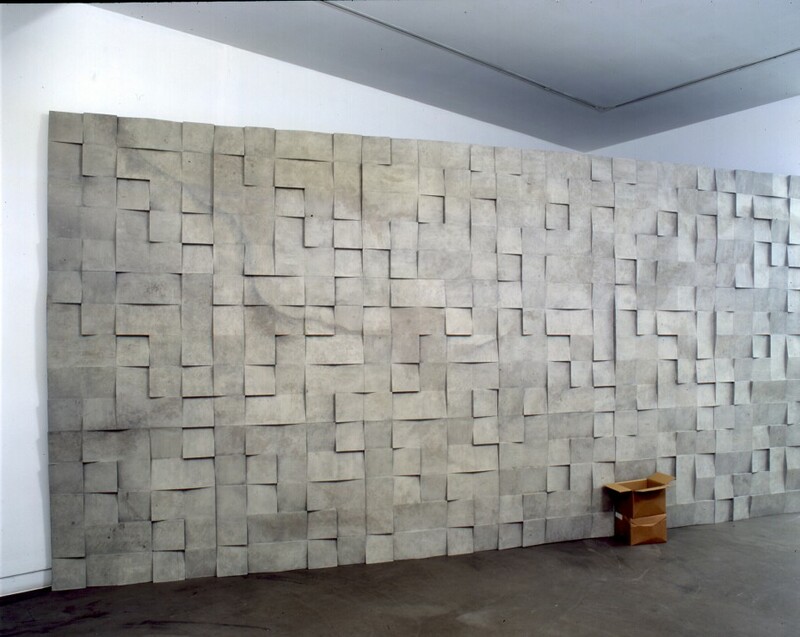 The wall exists not only as a backdrop for a sound piece that encompasses the room but also as a stage or a set onto which a narrative can unfold. As a reconstruction of a facade, this fortification could not be more artificial. On the floor of a moderately bare gallery sits a cardboard box, placed without any particular purpose. The box contains double-sided tourist maps of the City of Amsterdam. At first glance these maps seem to be the type on sale at the Amsterdam tourist offices to assist tourists in navigating the city. They are indeed flawless reproductions of such maps − with the exception of a handful of newly added streets. These new streets and canals are taken from maps made between the late 19th and early 20th centuries, and although they did once actually exist, they have since been erased from the city's landscape to make way for large municipal buildings as well as metro lines and parking spaces. The maps are free to be taken, and it is also the hope that in one way or another they will find their way into the reality of everyday life, meaning the possibility will arise that the general public will discover the deviations on the map without having any prior knowledge of the intervention or its history. Comic cosmology, presented on a monitor opposite the mural sculpture, is an animation that features stars appropriated from the graphic logo for the World's Fair of 1964 / 1965 at Flushing Meadows, New York City, with sound track by Elmer Bernstein, taken from the film 'IBM at the fair' by Charles and Ray Eames,1964.